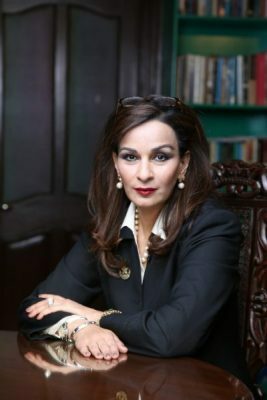 ISLAMABAD, September 7, 2018: Former Leader of Opposition in Senate, Senator Sherry Rehman, expressed her concern about the government’s decision to approve a proposal to increase the gas tariff by 46%, saying, “The government’s decision will have a harsh impact not only on some of Pakistan’s key export industries but particularly on the poor who will bear most of the brunt. This is a stark departure from the PTI’s campaign slogan of reducing the burden on the masses”. “Revision of gas prices, especially for an inflation-stricken nation, has to be done in a systematic way after all available options have been exhausted. Mechanisms on how gas prices are set in the future should also be determined. The government needs to issue an economic policy statement, outlining its goals in clear terms. Does the government have a post-tariff hike action plan? How will it tackle the fall out of this decision? A decision of the scale needs thorough consultation and deliberation,” said the Senator. Rehman added, “This move will force producers to pass on the cost to the consumers. On top of that, production cost will increase, making our exports more uncompetitive than they already are. As a reminder, Pakistan’s current trade deficit is already at a staggering $37.7 billion, an all time high, and Pakistan’s total reserves are down by 18.21% compared to last year. We need to strengthen our exports which are already on a dangerous downward trajectory. Jacking up the price of gas to this extent is definitely not helping us achieve that goal”. “Instead of a price hike, the government should focus on corrective measures to reduce or stop gas theft which is costing the national exchequer Rs 50 billion annually. The government should also seriously probe the multi-million dollar energy corruption scandals. There is also a need to inspect and review how gas companies are run. Massive corruption, bureaucratic red tape and mismanagement have all contributed to the inefficiency that has led us to this dire situation. Simply raising the tariff is not enough. The public should not be made to pay for the incompetence of big gas companies,” concluded Rehman.